The French woman instructed me to try on the tiniest pair of shorts I had ever seen. After a great deal of effort, somehow, I got the button fastened around my waist. When she saw them, she became excited and showed me the wooden tennis racket that would complete my look for the athletic part of the fashion show. (To recognize the irony of the story, you must recognize my lifelong inability to hit a tennis ball over a net – that is, the net in front of me.) Needless to say, I knew that I needed to cut out everything in my diet that could possibly be considered “fattening” in order to fit comfortably in those shorts: meat, milk in my coffee, cheese, and even my wheat toast and honey in the mornings. My diet consisted of mainly various fruits and vegetables, some rice, and nuts. I cut out sugar – and drank solely water, black coffee, or herbal tea. 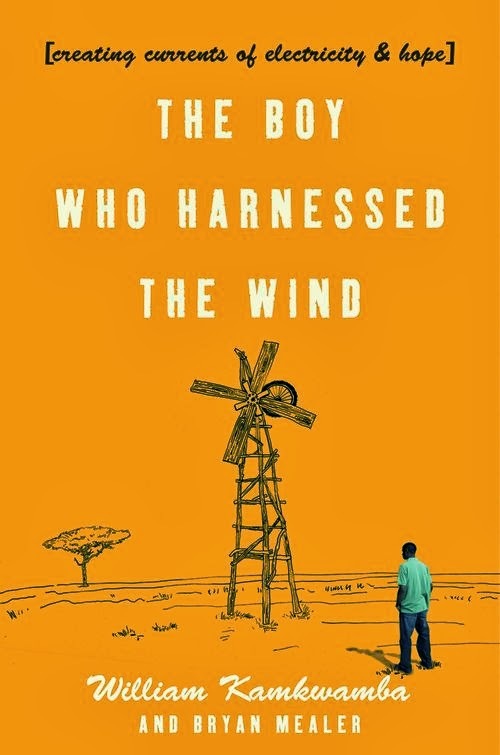 When I read the book on Malawi, The Boy Who Harnessed the Wind, I found myself disconcerted by its descriptions of famine and hunger. I was forced to think how far removed my westernized life is from the realities of a vast number of the world’s population. Food being a scarce resource is not even a thought that enters my mind – to the point that I was willing to limit my food intake just for aesthetic purposes. While I was “fasting” for my fashion show in Berlin, there were millions of hungry people, who would have done almost anything for just a little extra food to feed their families. Malawi is a small landlocked country in southeast Africa that is known for its poverty and lack of development. This is evident in the health of its people: The current life expectancy at birth for the average Malawian is 52 years of age. Over 900,000 Malawians (or 11% of the population) lives with HIV/AIDS: one of the highest infection rates in the world. However, this lack of development is also evident in economic terms: The gross domestic product per capita (or the total output of Malawi divided by the country’s population) is only $800 and 90% of the population works in the agricultural sector. William was born in a rural village, where (as he noted in the quotation above) his father was a farmer – focusing his growing efforts on maize, as well as tobacco (if he was lucky.) In 2001, William’s entire family fell prey to a widespread famine which affected the country deeply, brought on by a drought the previous year. In order to buy enough food to barely survive, his family indebted themselves and he was forced to withdraw from school. Not only was he unable to concentrate because of his nagging hunger, but also his father was unable to pay his school bills. Even after the famine, his family was still unable to send him to school due to their difficult financial situation. It was then that he began to find solace in a local “library” which consisted of only a few shelves. While reading a physics book, he decided that a solution to his family’s troubles would be the creation of a windmill to power electricity: “Only 2 percent of Malawians have electricity, and this is a huge problem. Having no electricity meant no lights, which meant I could never do anything at night, such as study or finish my radio repairs, much less see in the dark.” (page 81) Even more, having a windmill would mean that his family could pump water and never be forced to deal with the unpredictable rain for their survival. For months, as other children went to school, William dug through garbage lots, trying to find scrap metal with which he could create his windmill. This was a huge undertaking. Not only had William never seen a windmill, but he also lived in a society that still viewed modern science as supernatural force. Despite everyone’s predications that he would fail, he succeeded – at the age of 14. His tenacity inspired TED – which in turn provided him exposure and opportunities, such as receiving investment capital, returning to school, and later, studying in the United States. His story is truly an inspirational one about having faith in the unseen and the tenacity of the human spirit to survive hardship.